Domain names are those names which are provided by DNS server to each IP addresses querying for an HTTP request. 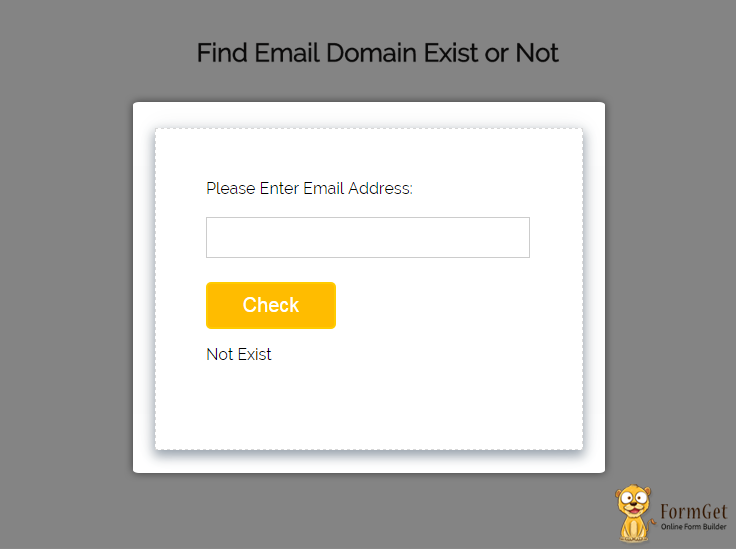 In this blog post, I am going to show whether an Email Domain exists or not. It will certainly help you in email list cleaning and perfect email list management. Restrict sending emails to all those emails whose domain doesn’t exist. No fake user can enter to your web portal or contact list. Let’s have a look at the brief summary of domain name system/server(DNS) and domain name. Domain name system came into existence with the invention of the internet. It is an authorized organization which provide a specific name to your IP address (127.0.0.1 as example.com) and let you communicate to anyone in the network. Imagine for a while that you have to enter the IP address of Google every time, then you will get frustrated after some time-spam, though it is the matter of only one address, what will happen when you have to enter IP addresses of several sites. It’s almost impossible to remember IP address of each host in the internet network, for this purpose DNS provide us a unique domain name for further communication with any IP addresses in the internet network. This above image explains about the hierarchy of DNS. 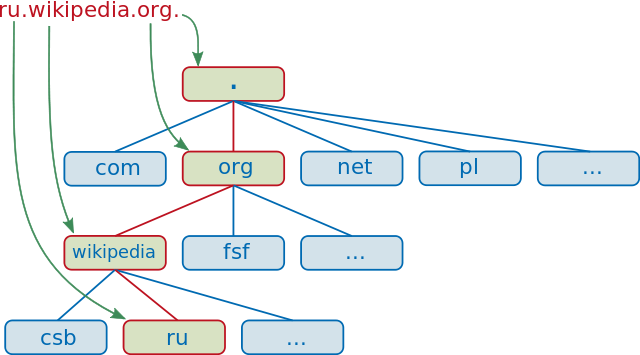 Root is at the top and then .com, .net, .org, .gov, .mil are considered as generic top-level domains(gTLD). .COM – For any Commercial purpose, like www.google.com. .ORG – For different Organization, like http://www.humanhealth.org. And like this .gov for government and .mil for army(military) section so we have a broad classification of the domain name. For sending emails and related functionality, you can take a look at our premium service MailGet – email marketing platform. It’s a user friendly online service in which you can also integrate different smtp. This page will display a form to enter different address. The submitted values will be retrived and checked whether the entered address contains a valid domain name or not. On the basis of result, it will display a message. Includes basic styling of HTML elements. Hope you would have learned & enjoyed this blog post and would have got a clear picture about DNS. I am sure you will give a try to the script provided and implement it in your own projects as well. Feel free to visit our website again in the future to get in touch with new coding tricks. You can let us know about your feedback in the space provided below. Now, what are you going to do with a huge email list? If your answer is email advertisements, online marketing, product & service promotions via emails. In that case, Mailget Bolt is the right choice for your email marketing campaign.